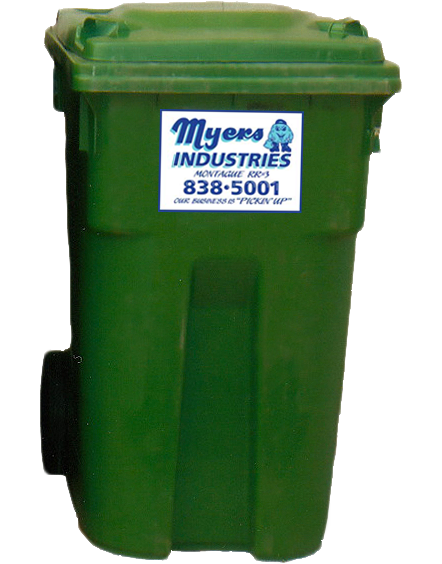 PEI Waste Management - Myers Industries Inc.
Myers Industries is a family owner and operated Waste Management business serving customers across Prince Edward Island since 1995. After much operational and managerial experience in the dairy and bakery business, Garth entered the garbage business with a half ton truck and 4 accounts. Today’s operations include residential garbage removal for more than 9000 homes and 1800 cottages in Kings County. Commercial waste removal is reaching province wide with commercial/residential roll off business serving both residential and commercial customers. …read more. **NEWS** – Myers industries is looking to expand in Kings county on its location at 3914 Baldwin Road. A detailed plan is provided so people can educated themselves on the proposed expansion. We have been in operation for 20 plus years in Kings county and are looking forward to the future and continuing to work with the people of Kings County. Click here for a copy of the detailed plan. Need a bin dropped off same day? That's no problem. Myers Industries is family owned since Garth started it. Garth's son Clinton is also an owner. We don't require contracts for service. We can offer our residential and commercial customers full recycling and waste services.